JAKARTA: Indonesian Armed Forces (TNI) chief Admiral Agus Suhartono told the Dewan Perwakilan Rakyat (DPR) on Friday that the country has not lost any of its territories in Camar Bulan and Tanjung Datu, in West Kalimantan, to Malaysia. He said TNI personnel had been carrying out surveillance at the borders in line with the Indonesia-Malaysia agreement, and that all border posts were equipped with coordinate data for border marking. "In the event that the markings are found to be in different positions, together we will return them to their coordinates," he said when briefing the DPR commission. Agus said local media reports over the purported taking of Indonesian territories by Malaysia had psychologically affected the TNI personnel stationed there. "These media reports seemed to be belittling the duties and denying the roles of TNI personnel in these areas. They are taken aback by these reports because it is as though they have not done their job properly," he said. 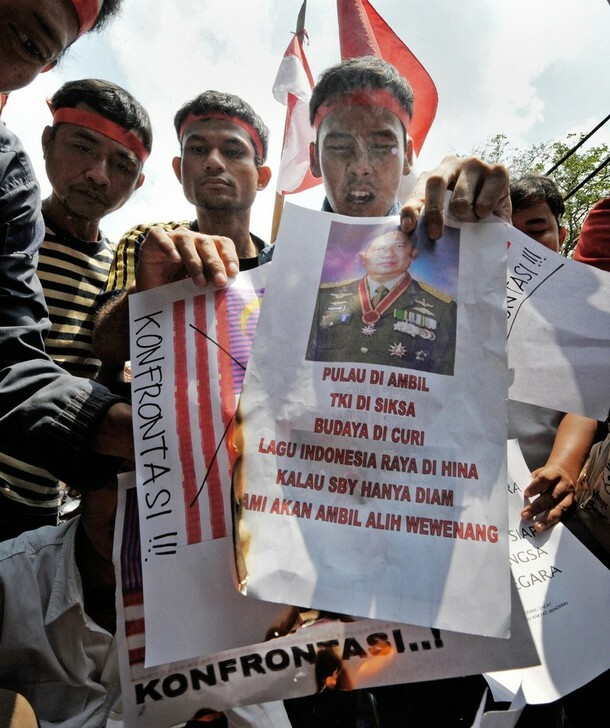 Agus made the representation to the DPR based on reports by Tanjungpura armed forces chief Maj-Gen Geerhan Lantara, who visited the two areas following claims by DPR deputy chief commissioner TB Hasanuddin of Parti Demokrasi Indonesia Perjuangan (PDI-P) that Malaysia had illegally taken 1,500 hectares in Camar Bulan and 800 meters of coast lines in Tanjung Datu. 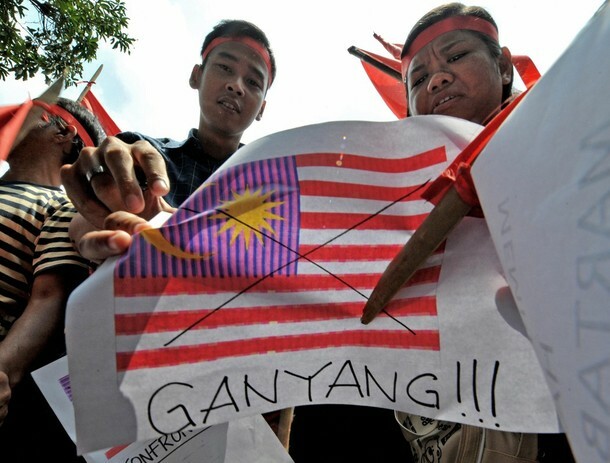 but we, MALAYSIANS, will never do the same because in Malaysia, peaceful is a very important element. That's the reason why our country is ranked 19th and Indonesia is ranked 68th in the Global Peace Index 2011 from 153 countries. Besides, our people can think more wisely before making any decision resulting Malaysia as the 57th high Human Development Index(HDI) compared to Indonesia satisfied with 110th ( medium HDI ) place out of 169 countries. Peace yo! Malaysia is definitely Truly Asia!